HBB Medical St. John is a leading medical marijuana dispensary that provides essential medicine to registered patients. They have been at the forefront of the medical cannabis industry, delivering quality products and exciting innovations. 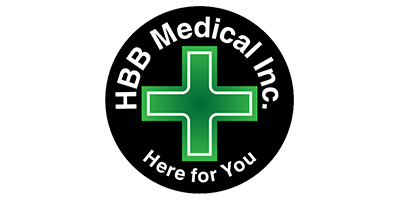 HBB Medical was one of the first weed dispensaries to sell medical marijuana in child resistant containers. HBB Medical has a wide variety of products and services available to their members. For the convenience of their members, HBB Medical marijuana dispensary provides their members with the opportunity to mail order marijuana online from the comfort of their own home. Everything from flowers to edibles are available in their online dispensary. The goal at HBB Medical is to provide members with as much information as possible so that they can medicate safely and responsibly to improve their quality of life. If you have any questions about the medical marijuana delivery service or would like advice about how to obtain a prescription from your physician, contact HBB Medical.